Aiming for transformational change is one thing, collaborating towards it is another. How should partners work together when we’re coming from different backgrounds, speaking different languages and having different working cultures? Start with what’s in common, we’re striving towards the same goal; working to make the wold a better place. During the PPPLab Day, Ricardo Bosshard (Director of WWF Chile) and Richard Piechocki (Partnership Manager at Rabobank, Netherlands) shared their experiences based on a 10 year global partnership between WWF and Rabobank. They provided some provocative food for thought, because, “you must continue to challenge each other”. In their partnership, they asked themselves two challenging questions. Are we aiming for the same thing? WWF’s agenda was about freezing the footprint of agribusinesses. Rabobank wanted to support their agricultural clients towards more profitable business, in a sustainable manner. The joint ambition of their partnership clearly aligned to both organisations’ strategies; ‘to create shared value – for nature and local residents, as well as the businesses and financiers operating in these chains – through sustainable business in food and agro chains’ (Global Partnership Agreement, March 2011). 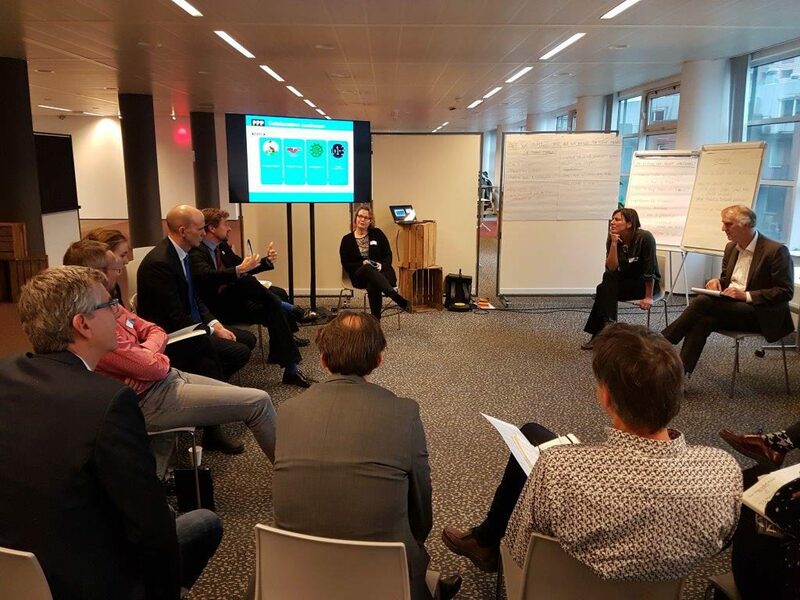 So, WWF and Rabobank both wanted to deliver value by sustainable entrepreneurship: finding a balance between nature conservation and economic development. At the beginning KPI’s were formulated; the most important one of which is realizing certification according to sector standards. The Steering Committee of the partnership kept their focus on this KPI while people on the ground discovered that it wasn’t easy at all. There are necessary steps to take before certification schemes can be implemented. Such conditional enablers include, for instance: awareness raising through research and training, building trust, and working on multi stakeholder and sector dialogues. For example, the salmon industry in Chile was confronted with issues like habitat destruction and pollution but also with social issues such as the negative impact of production on local communities, including people in poverty, indigenous people, and local fishermen. 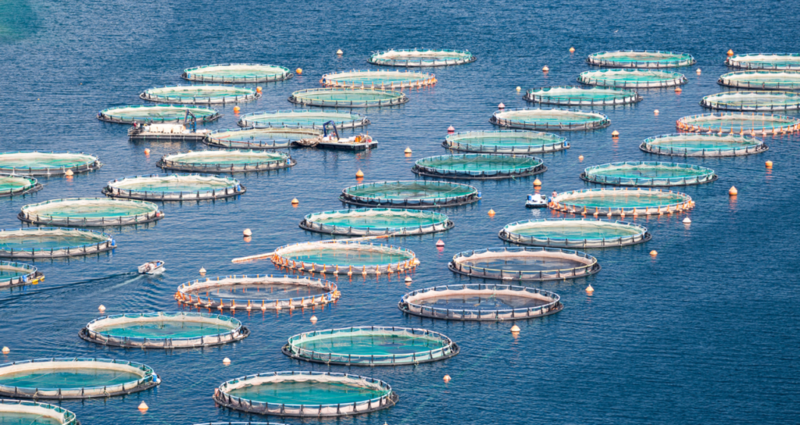 Recognizing this growing concern, Rabobank and WWF Chile stated they want to work together with salmon producers to develop tools to identify best practices for dealing with social issues in the sector. Recently, they presented their ‘social toolkit’ in a workshop with 23 participants of 10 Chilean salmon companies. This was only possible because WWF Chile and Rabobank Chile saw that it was a necessary condition towards change. How to put a transformational ambition into practice, collaboratively? Working on a social toolkit seems like a small step, but it turned out to be a crucial milestone on the roadmap towards ASC certification in Chile. In this case, the issue fit might seem right (‘working on sustainable production’), and the strategic fit is in place (both organizations work on making the world a better place). Why both organizations are working together is evident. But how both organizations work together is much more complicated. 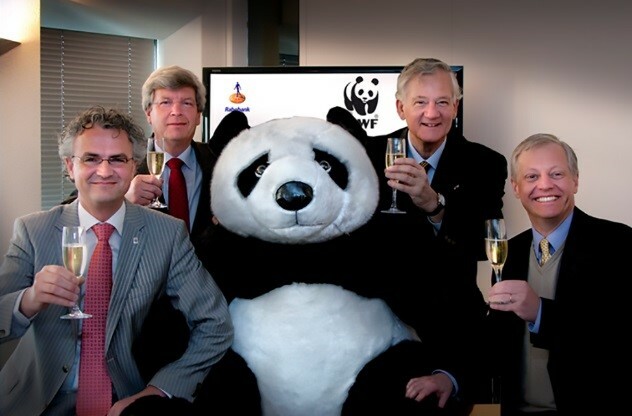 The lesson from the WWF – Rabobank partnership is that even when partners have agreed upon a real transformational ambition, the way to achieve this aim is with small steps. When they are able to take these small steps jointly, it often has unexpected effects. So, even if you are thinking big, it makes sense to start small.